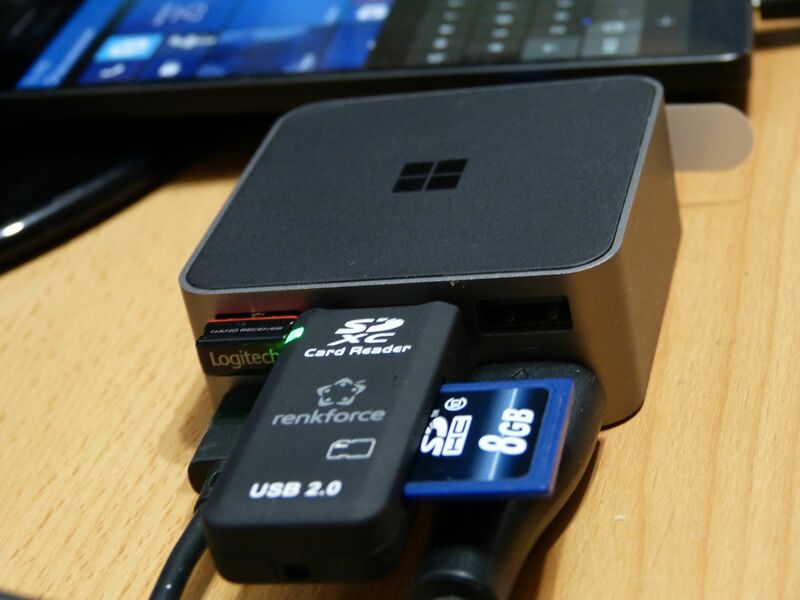 Tag Archive | "Windows 10"
The Xbox Dongle, a Chromecast / FireTV-like streaming and gaming device could help Windows 10 in the consumer space and might be a critical last-chance for Microsoft to keep Windows relevant for consumers. 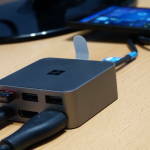 Windows Mobile was the potential low-cost, high volume strategy that could have created a stable development economy but now it’s gone there isn’t much else left – apart from the dongle. 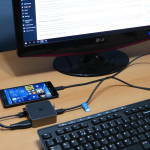 Does the Universal Windows Platform (UWP) and, ultimately, Windows Home have a future now that Microsoft are stopping development work on consumer phones? I think there’s a domino effect about to happen over the next 24 months that will see the consumer laptop market turn away from Windows Home and I don’t see a way that anyone can stop it. UWP is then left spreading awkwardly across gaming (Xbox) and business (PCs.) UWP is at risk. Continuum too. Standing on the sideline is Chrome OS and the Google Play Store. I think it really is time-up for Windows in the consumer space. 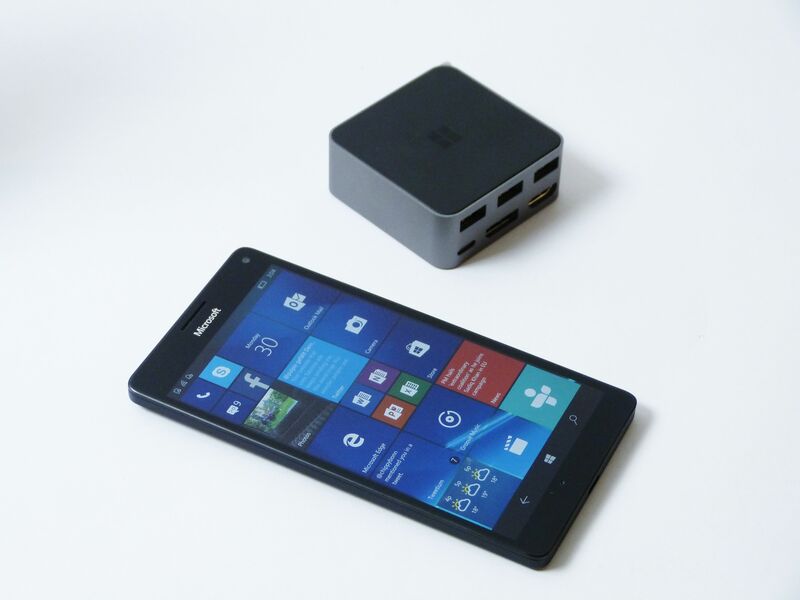 Continuum on the Lumia 950 LX is a bit awkward. You think you’re actually using Windows 10 desktop and then the bits of the UI you were expecting aren’t there. Neither are floating apps, Gigabit Ethernet USB dongle support and, the one that keeps catching me out, my taskbar with the Google Chrome icon. It’s not that fast either but here I am. 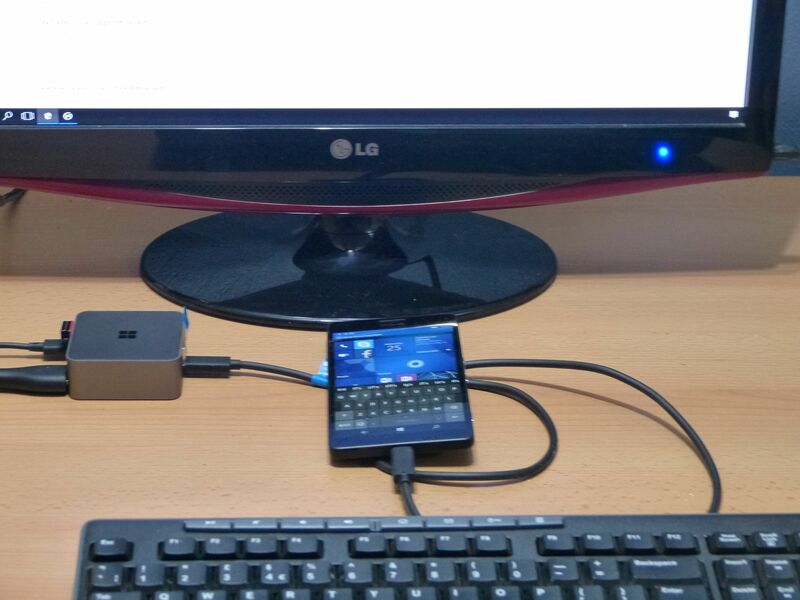 on a Lumia 950 XL connected to my full HD screen, keyboard and mouse via the docking station writing this article. 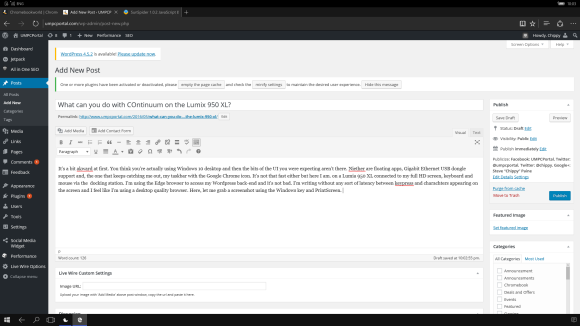 I’m using the Edge browser access my WordPress back-end and it’s not bad. I’m writing without any sort of latency between key-press and characters appearing on the screen and I feel like I’m using a desktop quality browser. Here, let me grab a screenshot using the Windows key and the Print Screen button on my USB-connected keyboard. That screenshot was as easy as it is on a Windows PC. As I move to try to right-click on the suggested word corrections I’m met with a block. I can’t find any way to auto-correct the underlined words and now I’m annoyed. Oh wait, there they are, showing up on the bottom of the phone screen, way out of my view and absolutely useless as I have to take a hand off the keyboard to use them. 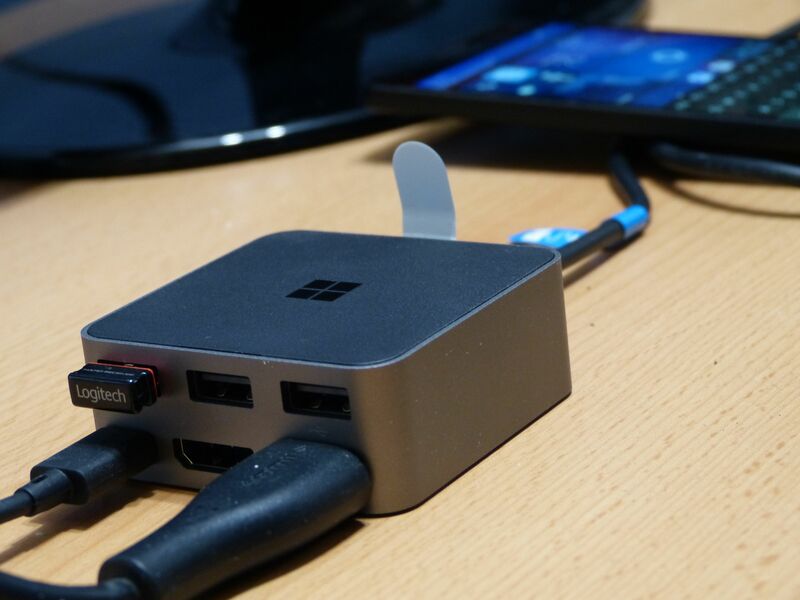 It’s things like this that will really annoy the average Windows 10 user trying to get to grips with Continuum and that’s not all. 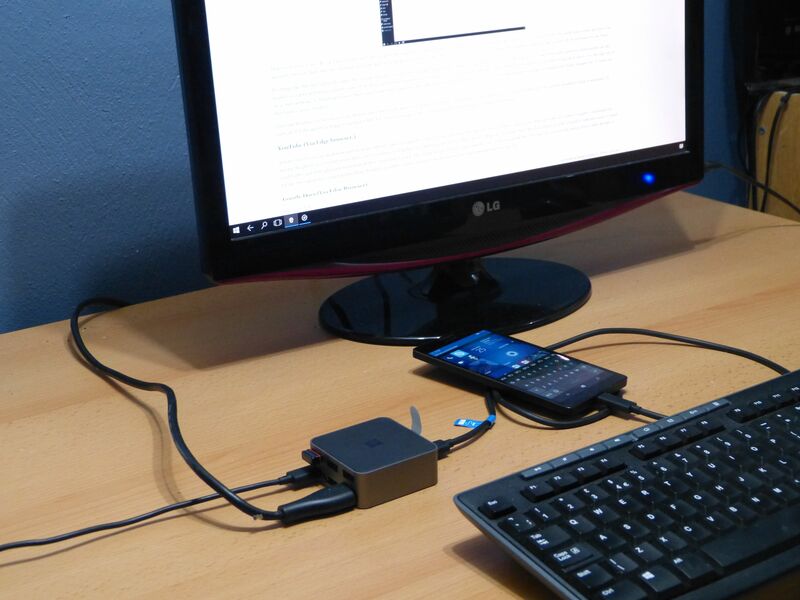 Consider the 950 XL, one of the most powerful smartphones on the market, as a poor performer when it comes to desktop operations. 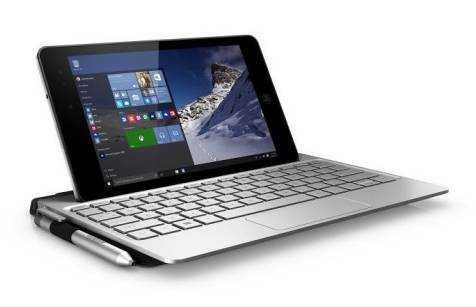 Expectations are high as you communicate through what you think is Windows 10 desktop but when things slow down, you feel like you’re on a 2010 netbook. As I start-up Groove Music and Twitter the experience degrades to frustrating. The scroll button on the mouse has stopped working, my background music has stopped too. Groove Music crashed. I’m using Windows 10 version 10.0.10586 here and I don’t really know if its Windows 10 that’s the problem or the Lumia 950 XL which was heavily criticized for instability when it launched. I’ll carry on. I’ll continue to work through a number of ‘situations’ and report as I go along. As I access Google Docs everything looks OK. I switch quickly between two docs and the web app stops responding. It’s crashed the tab. I try again and discover that the trick is to wait until the document is completely loaded before trying to edit. That can take 10-20 seconds which isn’t good if you’ve got something you want to edit. I’m using the Powerpoint Mobile and Groove Music apps and editing a recent Powerpoint. Editing works smoothly (smoother than I expected) as does sideshow playback. Success, at least in this short test. I assume Excel and Word Mobile will work without performance issues on smaller files. A quick heat check at this stage reveals something more than skin temperature. It’s getting warm under the 950 XL. I wish I had access to task manager to check CPU usage but that’s not possible. Groove and Tweetium are still running in the background. This very heavy web-based application works well. It’s slower than on my Ultrabook but still usable; possibly faster than a Windows 10 tablet. Impressive. Groove Music still running in the background. I have some problems here. 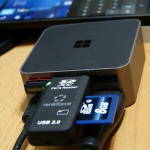 The built-in editing apps don’t support Continuum so my only choice is to pick up the phone and edit using apps there. I try OneDrive in the browser but it’s slow. I give up with the ‘not responding’ tab. This is a big disappointment that I’ll have to track, unless you have tips. I’m so pleased that TuneIn have finally updated their Windows Store radio streaming app. The old one was broken in a big way but the new one works well. 100% success as I access my favorite streams. 7 streams from my playlist worked quickly and fuss-free. I’ve had some issues with the Bing News app in the past but the curation in my region (English, UK) has improved recently. Nextgen, my choice for RSS feeds, doesn’t work on Continuum. I switch to my Google News account and it’s smoother than I expect. My apps that don’t work. I have 71 apps on my Lumia 950 XL. 30 of those don’t support Continuum but of the 41 apps that support continuum only 7 are third-party apps and only 3 of those (TuneIn, Xing and Tweetium) are apps that I believe are truly independant of Microsoft’s partnerships and subsidies. 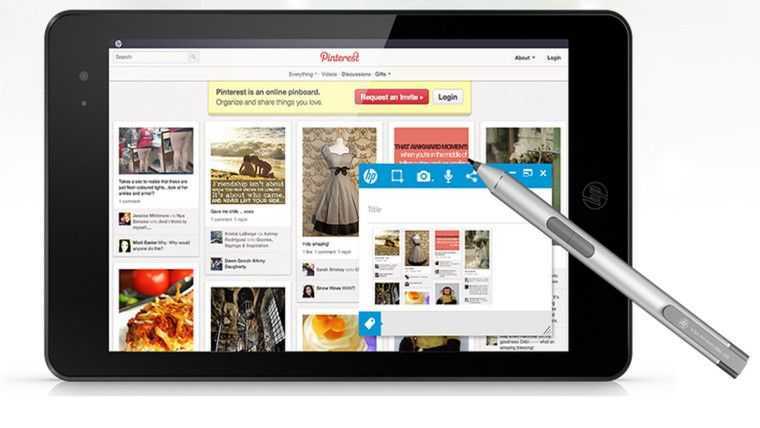 Facebook, Instagram and Twitter, for example, are apps that are likely to have been supported by Microsoft. Note that Netflix does not work in Continuum mode. 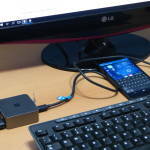 Even Microsoft’s Skype doesn’t work in Continuum although I admit there’s an issue of camera positioning there. 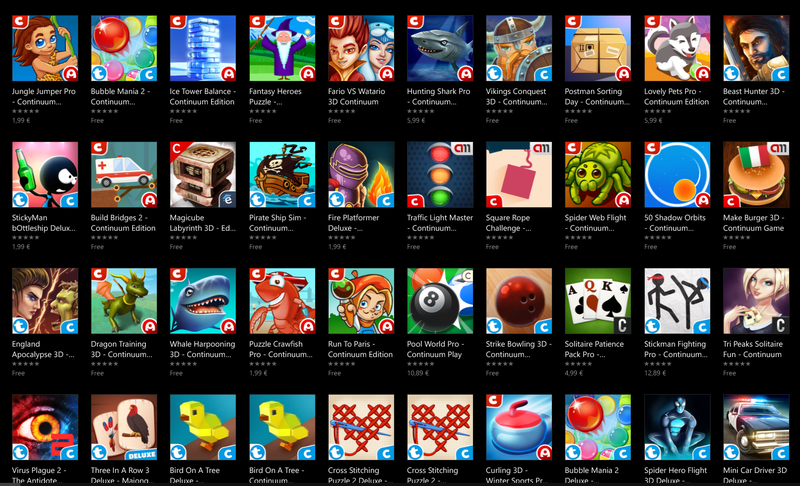 Only three of the top ten games in the Store are PC capable. Candy Crush Soda Saga, one of the ‘PC games’ works on the big screen, the others don’t. There’s no ‘Continuum Enabled’ section of the Store and if you search for “continuum” you’ll find one company, Academ Media, dominating the search results due to titles that include the word ‘continuum’. The games I tried worked but were very basic. Some were fun and at least it’s an indication that someone is working on Continuum-enabled games. I conclude here with one major recommendation to Microsoft – You need to include a Continuum-enabled filter in the Store. I’m now 2 hours into this article and the Microsoft 950 XL isn’t any warmer than it was an hour ago. It’s being charged as it provides data through the USB-C port and this WordPress browser tab on Edge is stable and working well. No problems with Edge. I noticed some latency as I downloaded a series of 20+ apps but that’s to be expected on this low-end PC. 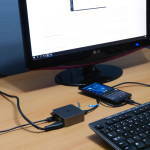 In my 3 hour test Windows Continuum and Continuum enabled apps worked well. 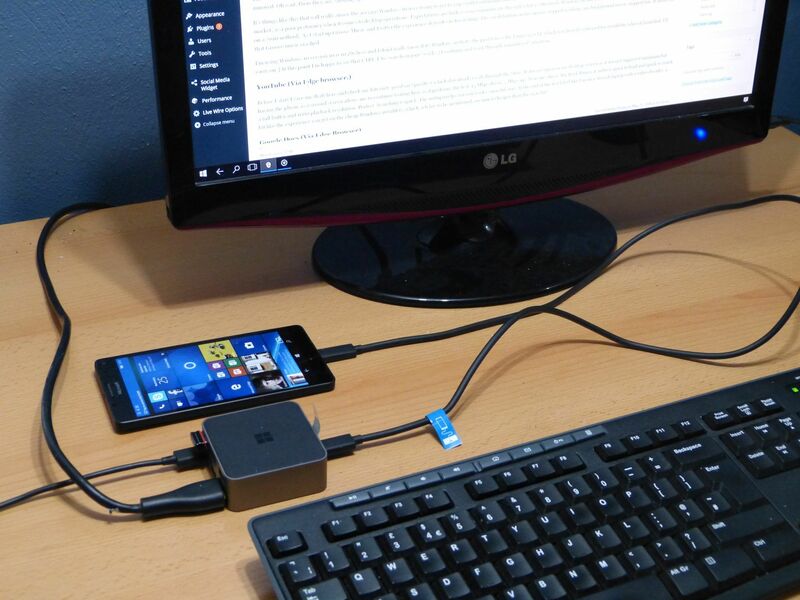 I was really, really annoyed at the lack of photo-editing ability and surprised that Microsoft hasn’t enabled a ‘Continuum enabled’ section in the Windows Store. I was annoyed at the lack of split-screen Continuum apps and, Microsoft, I don’t want to be looking at my phone as part of my desktop UI. Windows 10 has, in general, a big problem with app quantity and quality and it’s very obvious in Continuum mode where popular apps don’t work. Final note: I could not find a way to upload camera images via SD card to the 950 XL. These images were uploaded via the WordPress website and it took way too long. 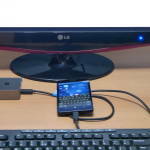 Everything you see, however, was created using the Lumia 950 XL in Continuum mode on a Full HD screen with USB keyboard and mouse. It wasn’t a barrier-free experience but faster and smoother than I had expected. There’s SO MUCH POTENTIAL here but, alas, SO FEW APPS. Performance is easy to solve, The app problem is a bigger one. 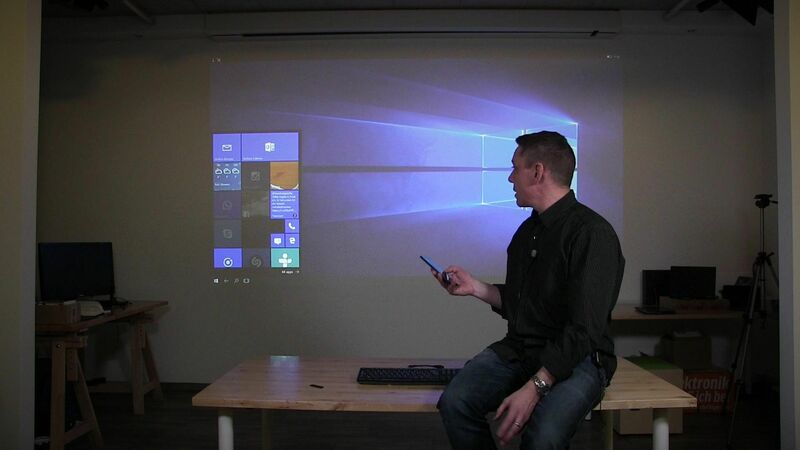 Testing Windows 10 Continuum has been something I’ve wanted to do since, well, the second it was announced. 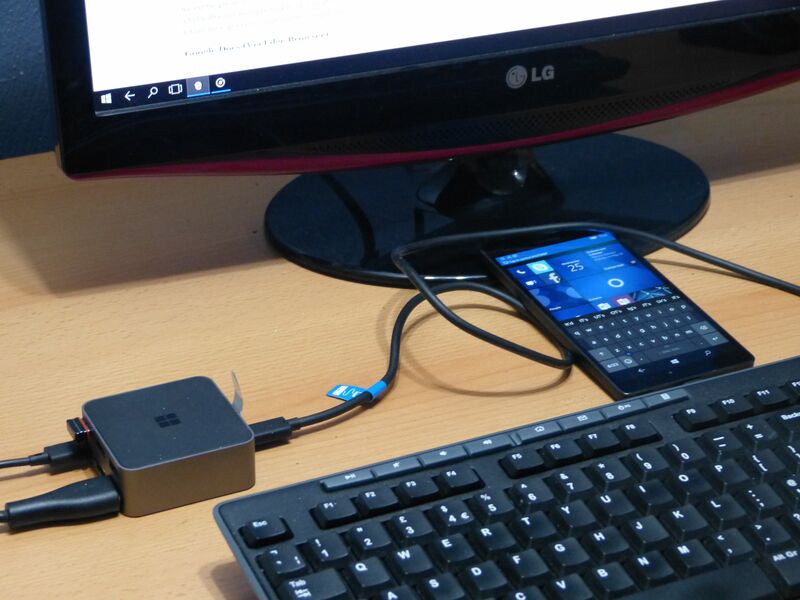 Today I got to play with the Microsoft Lumia 950 XL and I took the opportunity to get it running over Miracast for a completely wireless Windows 10 Mobile, extended screen experience. For someone like me, interested in highly integrated mobile computers, this was a groundbreaking moment. The usual suspects got their Surface Pro 4 devices before anyone else and have been allowed to publish their reviews. I think you can skip many of them to be honest but one stands out. 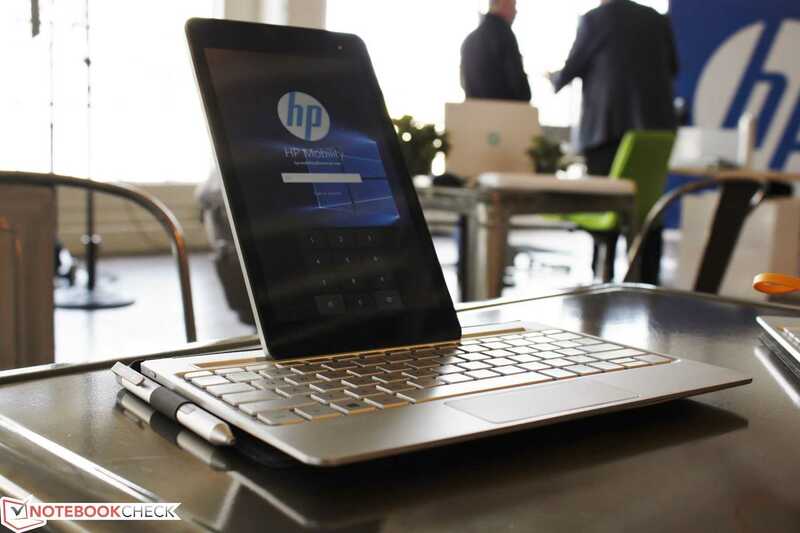 No, it’s not my review (I was 6 months behind the curve with my Surface Pro 3 review,) it’s the Anandtech review. It’s jam-packed with good information. 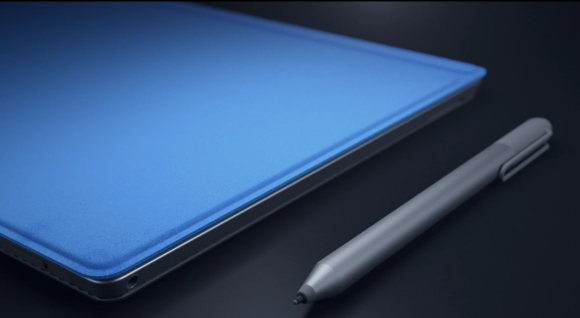 Surface Pro 4 and stylus. 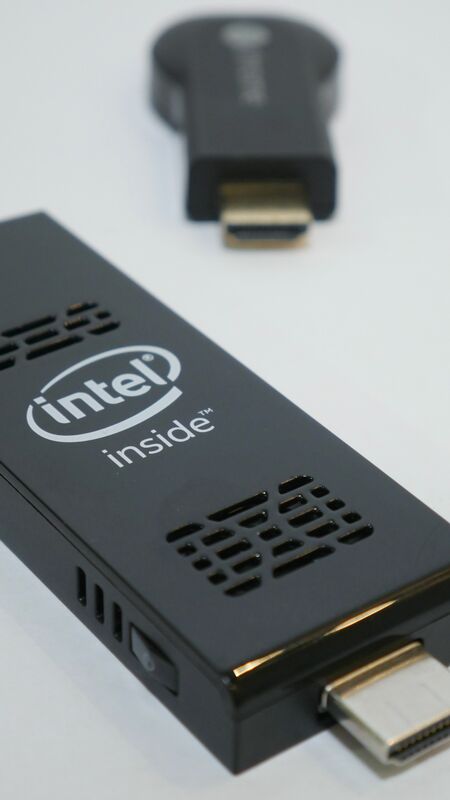 At a very plainly executed Google Nexus and Pixel C launch event today Google announced two new Chromecast sticks. 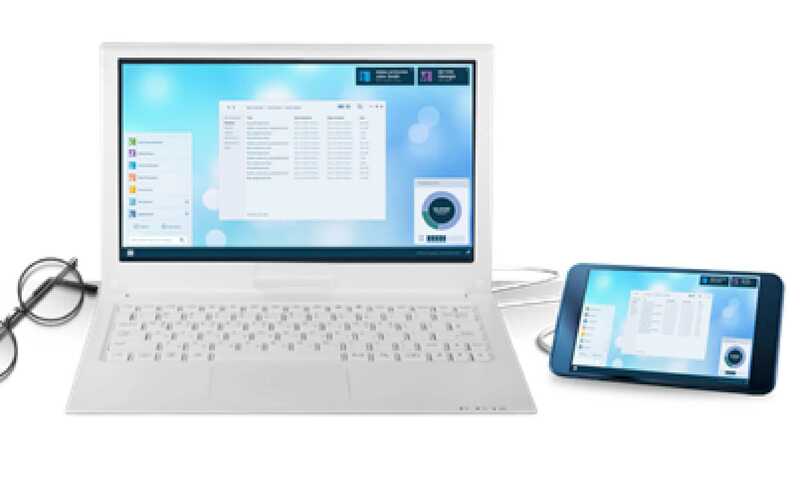 The new designs included improved WiFi performance, new controlling software and a model capable of multi-device syncronized audio. 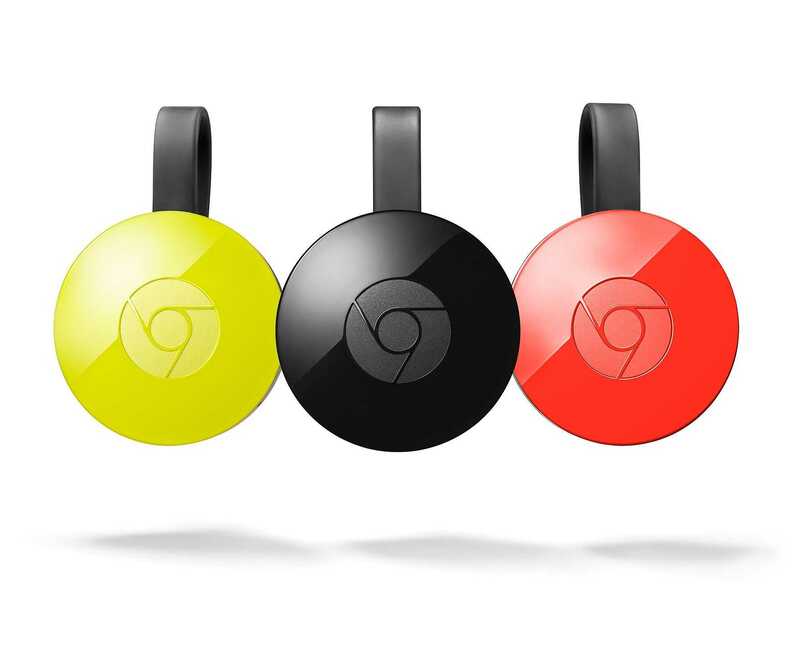 New Chromecast models for 2015 have a new design and much improved WiFi support. Chromebook, News Comments Off on Chromecast WiFi improvements also cover your HiFi. New models, new software. 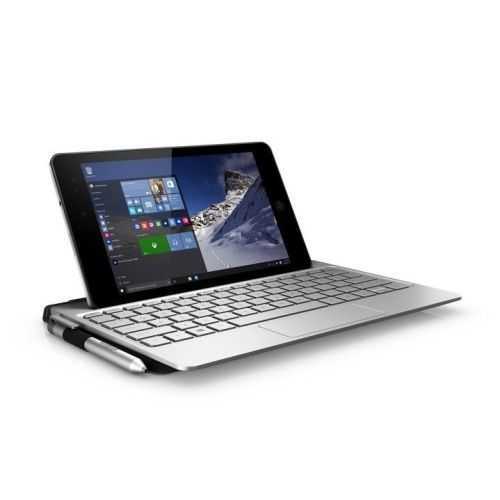 I’ve just ordered a Windows 10 2-in-1 with Atom X5-Z8500, 4 GB RAM, USB 3.1 / USB C and 64 GB storage for 379 Euro. (Amazon Germany.) 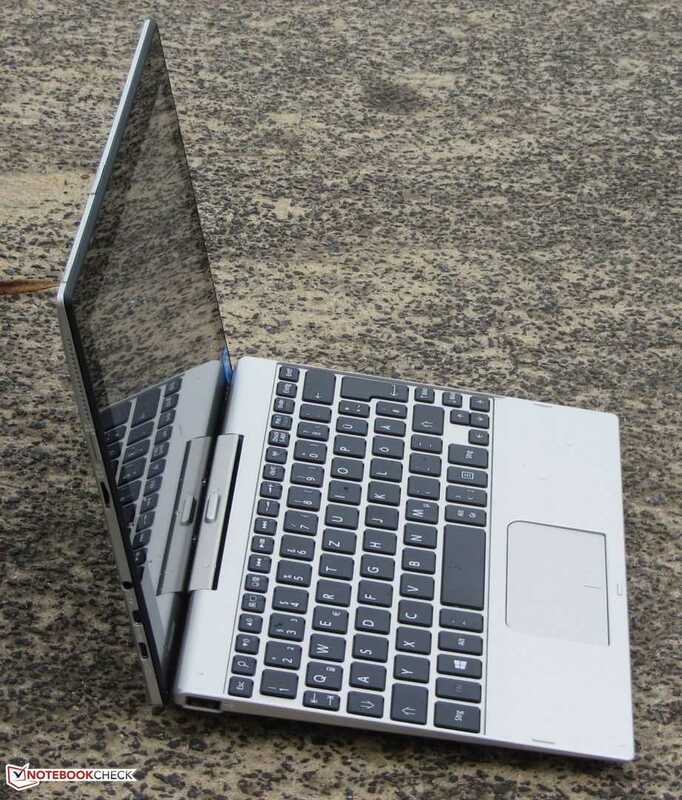 That’s just under $350 in pre-tax USA pricing and having had some hands-on with the Transformer Book T100HA last week I’m confident that it’s a bargain 2-in-1 and that it will be very popular this quarter, unless I find some gotchas. 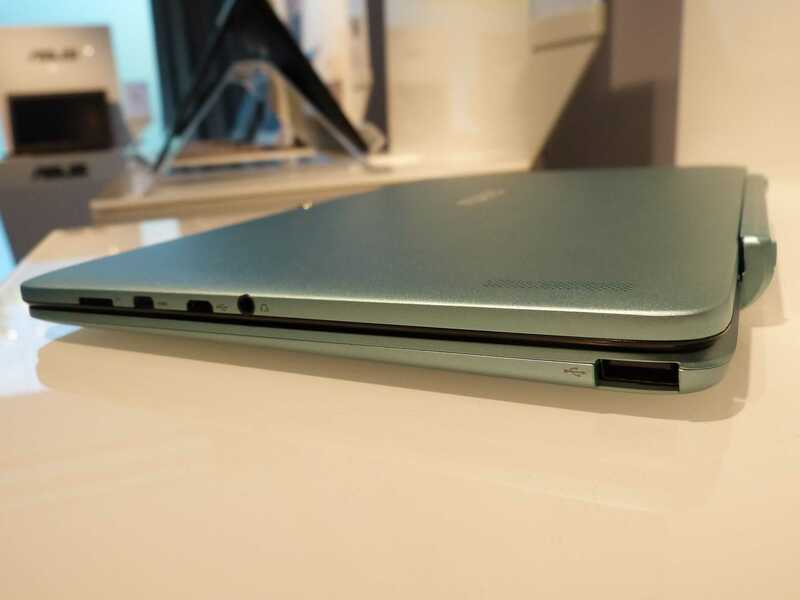 The entry-level model with 32 GB storage and 2 GB RAM is being offered at just €309 – $280 (pre-19% tax conversion.) My T100HA will be here in 5-6 days and yes, there will be plenty of coverage here at UMPCPortal. Update: The delivery estimate went from 5-6 days to infinity and I haven’t found an alternative retailer yet.